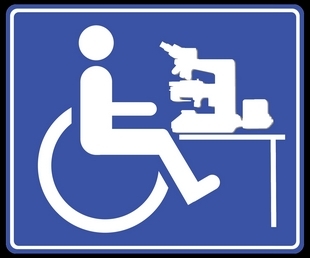 Paraplegia - My Experience: Strategy VS Insensitivity? “You’ll never walk again”. The sentence I never wanted to hear was delivered to me not once, but on two occasions by two different doctors. Totally vulnerable in this life altering situation, the words burned into my soul as the blood drained from my face. Yet this monumental news was on both occasions delivered to me in a detached, cold, matter of fact manner. Ho-Hum, on to the next patient. Perhaps dealing with spinal cord injury patients on a daily, weekly and yearly basis had separated the compassion from the doctor? Perhaps compassion was another department, and the responsibility of another health care professional? Next! And lets face it, doctors are never wrong! It started me wondering if this “get over it” attitude was truly insensitivity or some strategy used by the health care providers involved with spinal cord injury patients. Is there strategy behind being outright blunt and telling a person that they will never walk again? This approach might provide two outcomes. The patient may be thrown into a period of self pity and mourning but then turn the corner and more quickly accept their situation. Seeing the light at the end of the tunnel might allow the patient to better participate in their recovery. On the other hand, the patient may be reaching for some ray of hope to cling on to thereby providing an incentive to try and participate in one’s own recovery. This blunt and absolute negativity could dash any incentive and cause the patient sink into deep despair. So, is the bedside manner truly a reflection of the humanity present behind that white coat and stethoscope? Or is there some actual strategy or psychology practiced by doctors in this field. My perception was that the job had become so routine for these doctors that they had no time to waste on compassion. So what is the best approach? I never wanted sympathy but I didn’t want the door slammed on my hopes and dreams either. Leave it slightly ajar. I would have preferred hearing “we just don’t know”, but that is something you will never hear a doctor say. To all those facing a life altering situation such as mine, I can only offer encouragement. Try!!! Having worked with doctors professionally on a daily basis I can tell you without hesitation that doctors do not know everything, and some actually know very little. But that is their secret. Addenum: Still nervous about being shot down emotionally if I was to reveal my newly acquired motion to one of my doctors, I took the chance and raised my foot, deliberately and steadily from my leg support. It was great watching his jaw drop!